Description: To ensure everyone get the quick response of where to go when encounter fire emergency at home, a home fire and emergency plan is indispensable, especially in a big house. 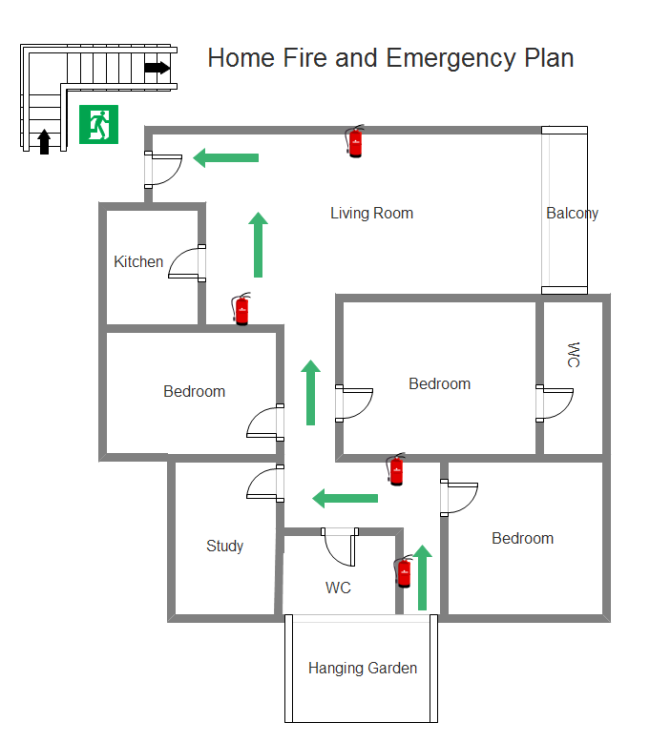 Get an amazing free customizable home fire and emergency plan template right now. Readily identifiable icons are used to depict the exit routes and safety equipment. Simply drag and drop these ready-made shapes, you can finish a perfect fire and emergency plan for you home.